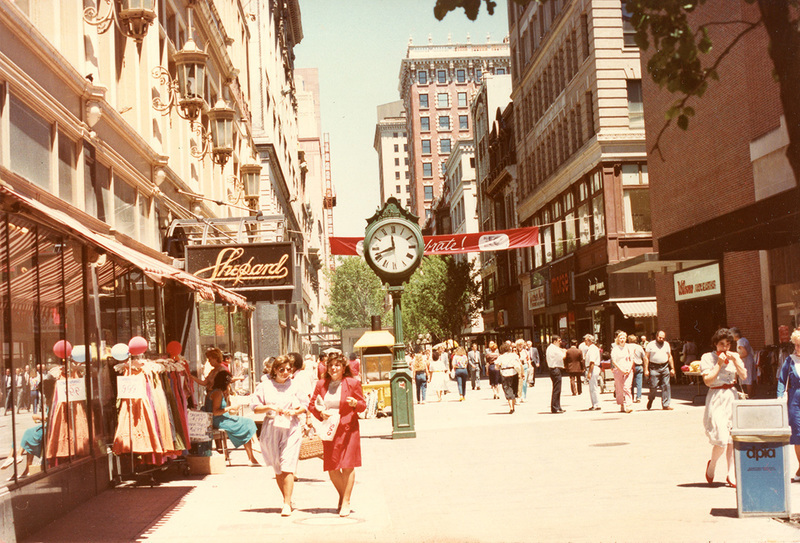 Few places in downtown evoke such fond memories like the iconic Shepard Company Department Store, a fixture of the 19th and 20th-century Providence shopping experience. Built in the 1870s, Shepard’s initially was 6,400 square feet. By 1903, it grew to include 301,000 square feet, occupying an entire city block! Founder John Shepard insisted that his store was not simply one large business, but instead a collection of quaint shops, “each more complete in itself than the small separate stores,” with each division offering a premier shopping experience. The result was a unique offering of various goods and services. Inside people could find Shepard’s Tearoom (which offered a fine dining experience), clothing and jewelry departments, an ice making and refrigeration plant, a nursery, and even a letter writing station. Reportedly, Rhode Islanders could find nearly everything at Shepard’s. 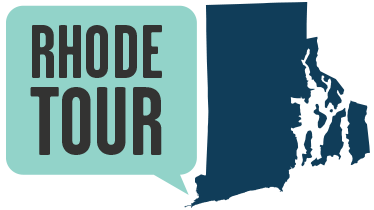 Besides merely functioning as a destination for shopping and socializing, Rhode Island’s first radio station WEAN began inside this building as well. 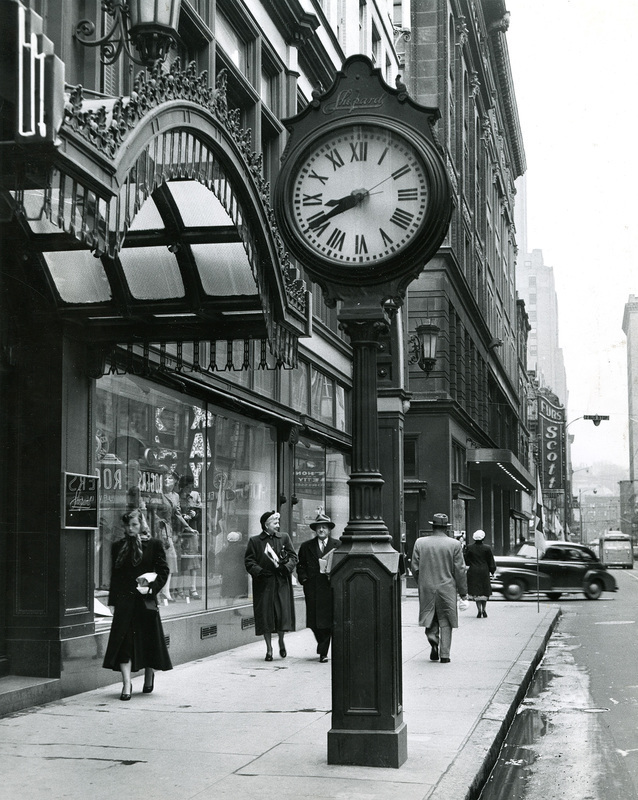 In it's prime, Shepard's also helped to orient visitors in downtown Providence. Meeting “at the clock” friends and families used the large 19th-century cast iron clock outside the Westminster Street entrance as a point of reference. Though once successful, the Shepard Company went bankrupt in 1974. Fortunately, the exterior of the building and its iconic clock still remain largely unchanged. Today the Shepard’s Building serves various educational institutions, an example of repurposing an iconic space to serve the neighborhood’s needs. Shepard's Clock: Many fun afternoons began under the Shepard' clock, a fixture of Westminster Street since the late 19th Century. Local historian Mack Woodward discusses the cycles of development on Westminster Street. Amelia Golcheski, “Shepard Company Building,” Rhode Tour, accessed April 21, 2019, http://rhodetour.org/items/show/204.